The second annual Global Recycling Day is taking place today (18 March) across the world, aiming to promote the importance of recycled material, which organisers have termed ‘the seventh resource’ after water, air, oil, coal, minerals and natural gas. This goal has never been more important than it is now, with a new report from the UN Environment Programme explaining that the world’s use of raw materials has more than tripled since 1970. The ‘Global Resources Outlook 2019’ was put together by the International Resource Panel (IRP), a scientific body aiming to encourage a more sustainable use of natural resources. Published last week during this year’s UN Environment Assembly (11-15 March), the report examines trends in the consumption of natural resource, suggesting that by 2060, raw material usage could double to 190 billion tonnes. This conclusion is in line with a 2018 report produced by the Organisation for Economic Cooperation and Development (OECD). The OECD predicted that in the years until 2060, the recycling sector will grow faster than mining or minerals use, but that ‘the strong increase in demand for materials implies that both primary and secondary materials use increase at roughly the same speed’. The impacts of this increased resource use are increasingly negative, the IRP report claims. If trends continue, by 2060, greenhouse gas emissions could increase by 43 per cent, while natural landscapes will degrade, with forests reducing by over 10 per cent and other habitats like grasslands by around 20 per cent. In addition, resource extraction and processing is currently responsible for 90 per cent of biodiversity loss and water stress (when demand for clean water exceeds the amount available). If this trend continues, it is stated, the goals of the Paris Climate Agreement will be ‘difficult to meet’. Moving towards a circular economy, whereby resources are kept in use through recycling and reuse, is key to reducing the negative impacts of the extraction and processing of raw materials. For instance, the report shows that the climate change impacts of aluminium recycling are between 3.5 and 20 per cent of that of primary production. ‘What is needed is a move from linear to circular flows through a combination of extended product life cycles, intelligent product design and standardization and reuse, recycling and remanufacturing,’ the report states. We live in worrying times, but the BIR’s goal may also be more achievable now than ever before, with governments and businesses showing themselves to be more willing to enact waste reduction and recycling policies – in no small part due to the changing demands of consumers and the growing public knowledge about the effects on the environment of a linear (take-make-dispose) consumption model. This year’s Global Recycling Day is based around the theme ‘Recycling into the Future’, and focuses on ‘the power of youth, education and innovation’. The BIR has shared materials to be used in schools and youth clubs based around recycling, including recycling facts and tips on things to make out of recycling goods. This approach can be highly effective, as a recent poll by the Midcounties Co-operative reveals. 2,000 people with children between five and 18 were questioned, and results show that four in 10 parents have been told off by their child for throwing away something recyclable, while half of children who go shopping with their parents provide tips such as to take a reusable bag. Parents largely credited schools with educating their children about waste and recycling. The Midcounties Co-operative is launching its 1Change programme, which is working to educate people about single-use plastic – and is partnering with schools to take the message to young people. Mike Pickering, Co-operative social responsibility manager at said: “Reducing single-use plastic is a high priority for our 700,000 members, so we wanted to understand whether this desire was making its way to the next generation. The educational resources from the BIR can be found on the Global Recycling Day website. The world’s consumption of raw materials is set to double by 2060, with devastating environmental consequences, according to a new report from the Organisation for Economic Co-operation and Development. North London Waste Authority encourages people to ‘Wise Up To Waste’ and switch to reusable bottles, as new research shows that two-thirds of people say that they now possess one. The two books, which are being used at 98 Cardiff primary schools, explain where everyday rubbish ends up. 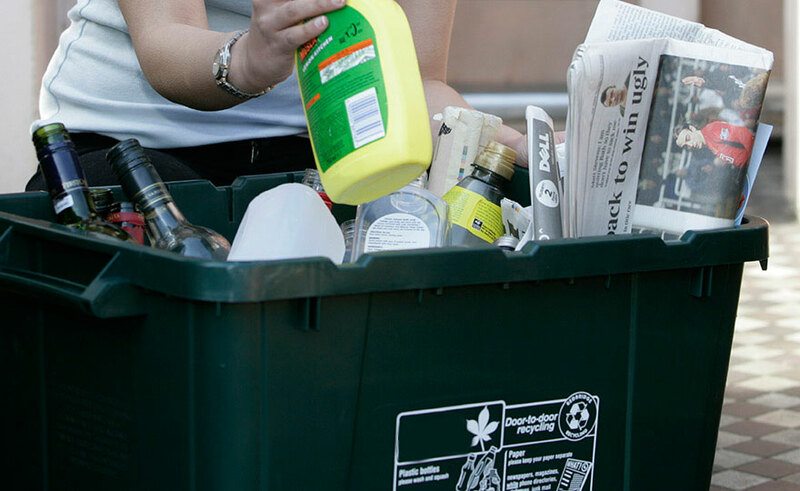 The Bureau for International Recycling has claimed the first ever Global Recycling Day as a success as the organisation pushes to have it recognised as an official day in the UN calendar. George Monbiot is leading calls for Natural Climate Solutions to combat climate change through the restoration of natural ecosystems in order to draw carbon dioxide out of the atmosphere. A round up of news from the waste and resources sector including funding for community projects in Northern Ireland, ethical business accreditation to a UK mattress company, a charity Christmas jumper swap, and more. For the first time, insects have been found to retain microplastics when transforming from aquatic larvae into flying adults, enabling previously unexposed creatures and environments to become polluted.